March 31, 2014 – Kentucky’s House of Representatives has signed off on a bill that gives the state’s Bourbon distillers a long-sought break on the taxes they pay each year on every barrel of maturing whiskey in their warehouses. The so-called “ad valorem” tax generates about $13 million each year for local governments and school districts, but the bill passed today preserves that revenue stream while allowing distillers to take a credit on their corporate income taxes to offset the ad valorem taxes. The compromise requires the distillers to reinvest that money in their Kentucky operations, and the credit will be phased in over the next five years. 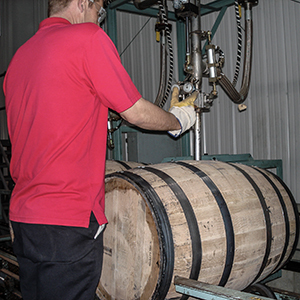 “We are appreciative that the General Assembly recognizes our signature Bourbon industry as a major economic development engine of the Commonwealth,” Kentucky Distillers Association president Eric Gregory said in a news release. “This reinvestment tax credit will allow our distilleries to create more jobs and increase investment in the state.” According to the KDA, Kentucky’s taxes on distilled spirits are the third-highest in the nation, and the Commonwealth is the only state that imposes the ad valorem tax on distillers. Gregory said the offset will encourage more growth in the craft distilling community, along with another bill approved by the General Assembly that creates a special license for craft distillers with reduced licensing fees. The bill was part of a package of tax reforms recommended in 2012 by a commission appointed by Governor Steve Beshear, and was approved by the Senate last week. The bill now goes to Gov. Beshear for his signature.